Cliona has a strong background in education and enjoys teaching from her home in Fairlight. 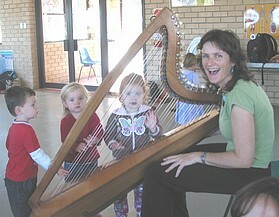 She has run many harp ensembles and holds an annual winter harp workshop. See website for details.